The world’s oldest B747 still in operation took its final flight yesterday. 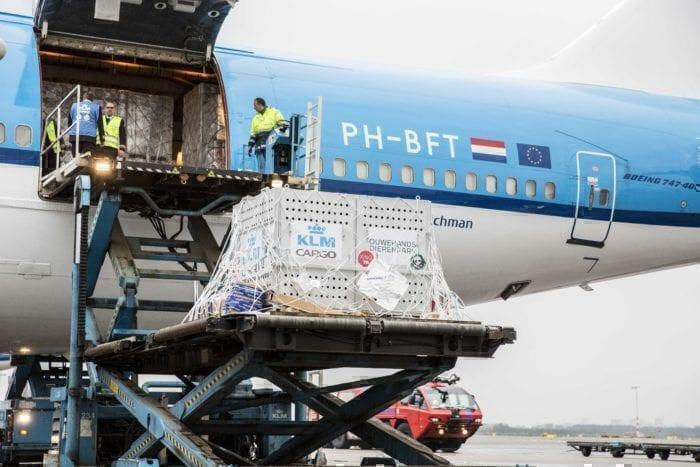 With a wealth of history behind it, the “City of Bangkok” has been carrying the KLM livery around the world for almost 30 years. The aircraft was first delivered to the Dutch flag carrier in 1989. 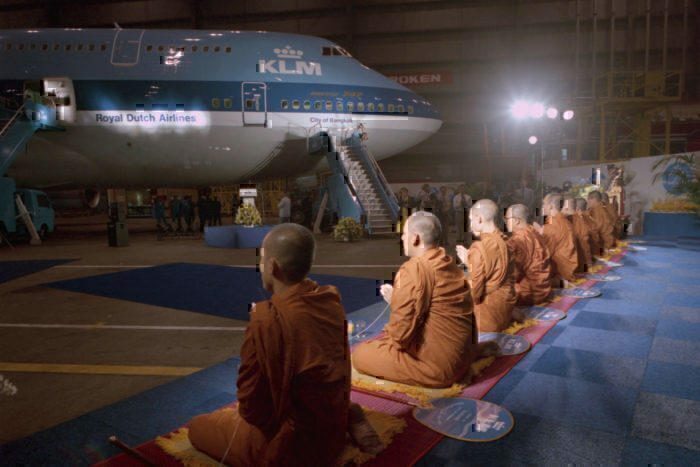 The aircraft was named in an elaborate ceremony that involved a Thai monk blessing. This was all before the aircraft first actually flew to Bangkok in April 1991. Following a final flight from Los Angeles to Amsterdam (KL602), the aircraft is now being prepared to move to its final resting place. While many aircraft go on to scrapyards upon retirement, PH-BFB will park up outside a Schipol hotel. Following delivery back in 1989, PH-BFB was named the “City of Bangkok” in an elaborate ceremony. The event which was attended by over 200 people was held inside KLM’s Hangar 11 at Schipol Airport. Nine of the attendees of the event were Thai monks. In fact, the Thai monks had arrived from a monastery in the Bangkok district of Laksi. Coincidentally, Laksi is where KLM’s crew stay on Bangkok layovers. At the event, the Monks cooked for all of the attendees. Following this, the aircraft was “christened” with the title “City of Bangkok”. Despite the aircraft being delivered in 1989, it didn’t end up flying to Thailand until 1991. We know this thanks to a plaque near the entrance to the aircraft which commemorates the occasion which was presented by the Bangkok Metropolitan Administration. According to KLM, the City of Bangkok has amassed some 134,279 flight hours. This equates to 15.7 years, meaning the aircraft has spent over half of its life gracing the blue skies. This equates to 18,024 take off and landings. As such the average length of each flight undertaken by the aircraft is 7.45 hours. Additionally, with 408 seats onboard, KLM estimates that the aircraft has carried just under 6 million passengers across its life. There was no immediate change to the KLM schedule following the retirement of this aircraft. The airline still has another 14 B747-400 aircraft in operation. Some of these are mixed cargo/passenger aircraft. With the B747 program recently reaching its 50th birthday, many airlines are being to retire the -400 models. While airlines such as Lufthansa are opting for the B747-8, KLM is not replacing the aircraft like for like. Instead, the B747 fleet will be replaced with the B787 and B777 over the coming years. This is part of a goal by the airline to reduce CO2 emissions by 20% in the nine years leading up to 2020.